Apologies for this late July edition of 'Favourite things to do in Brisbane' I had a few more pressing events to post last week. Well Winter is well and truly here but don't let these cool temperatures stop you from getting out and about in Brisbane. Here are my favourite things to do in Brisbane this July perhaps they will inspire you to experience Brisbane. Held in Brisbane’s beautiful South Bank Parklands on Saturday 15 and Sunday 16 July, Regional Flavours features free entertainment from celebrity chefs, cooks and industry experts, delicious food, beer and wine, live music, kid’s activities and more. Read more about Regional Flavours on my blog post here. See the world’s most compelling, controversial and intimate moments as captured by award-winning photojournalists from around the globe. In its 60th year, the contest saw 80,408 images submitted by 5,034 photographers from 125 countries. This free event is at Brisbane Powerhouse till 23 July 2017. Read more about the World Press Photo Exhibition here. 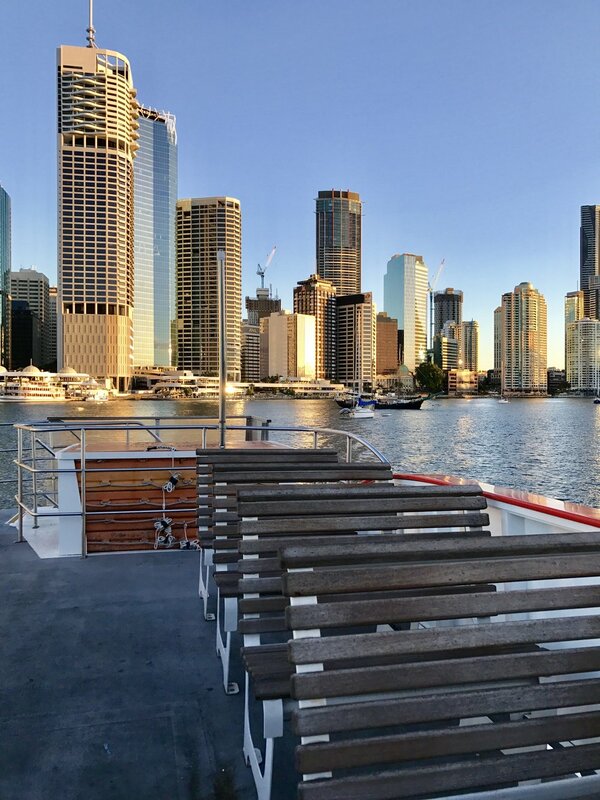 With such beautiful winter days in Brisbane there is nothing more enjoyable than soaking up the sunshine and sights whilst cruising the Brisbane River. Catch the free City Hopper from North Quay and sail down the river to Sydney Street, New Farm hopping on and off at the stops along the way. Or if you prefer a longer ride catch the CityCat from the University of Queensland to Eat Street Markets. See CityCat times and prices here. Watching New South Wales and Queensland battle for honours in the State of Origin is a July family tradition in my house. Although I'm not a massive Ruby League fan I do enjoy the excitement and passion that the State of Origin ignites. Needless to say that my family supports the Maroons -Queenslander. Eat Street Markets at Northshore is the most amazing Brisbane food destination. Eat your way thru over 70 street food vendors who set up kitchen and serve their food from shipping containers, yes shipping containers. Food from all over the world is served below stunning fairy light canopies - so magical. Eat Street Markets are open every Friday, Saturday and Sunday night of the year, you can read more about the markets here. Tell me what you like to do in Brisbane during July, I would love to hear from you.